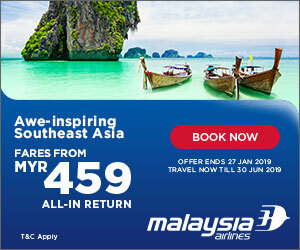 Malaysia Airlines – 2019 January Promotions. We’re introducing daily direct flights to Kochi, one of India’s most alluring destinations, starting 31 Mar 2019. With special fares you don’t want to miss, fly with Malaysia Airlines and discover a beautiful city that emanates old-world charm and where exciting cultures intertwine.